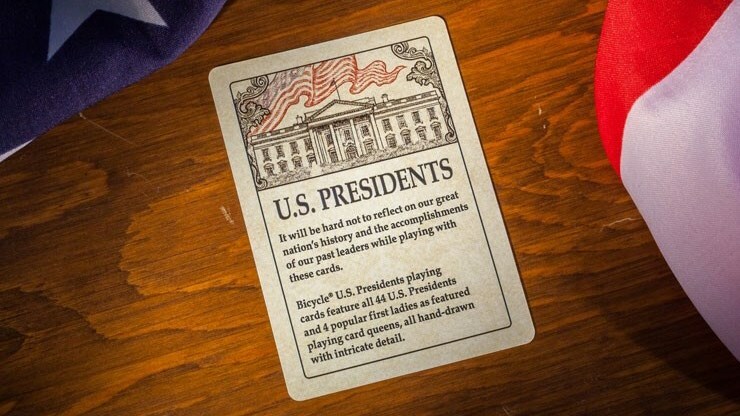 Dive into the history of the United States with the Bicycle® U.S. Presidents Playing Cards! 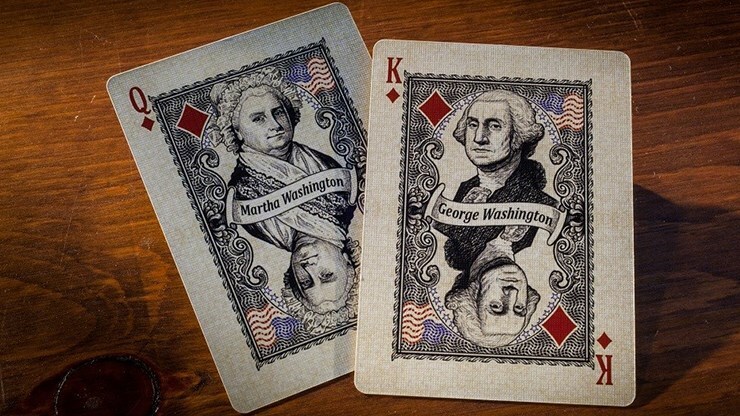 These cards feature the first 44 Presidents of the USA as well as several first ladies (the Queens). 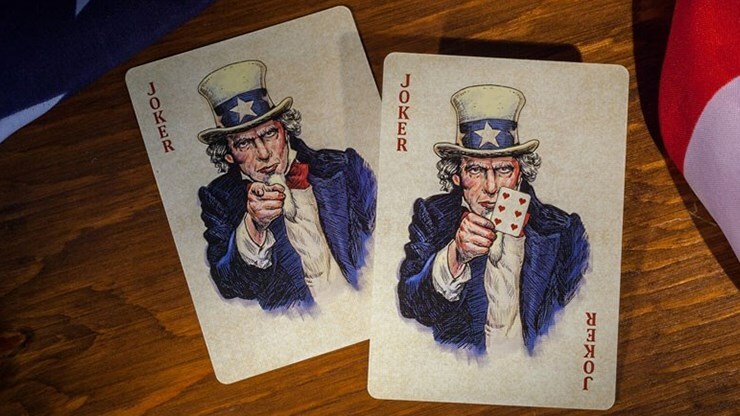 Each card comes with an original artwork portrait, except for the Aces, and the Jokers, which feature Uncle Sam! The Kings feature the Presidents on Mount Rushmore and the Queens are their wives. 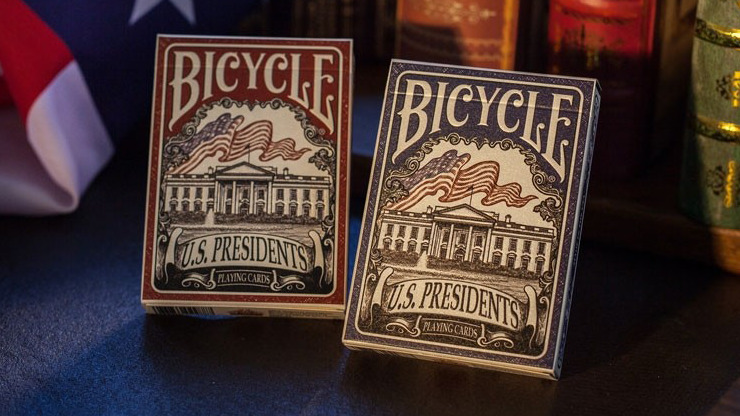 Printed by USPCC on Bicycle card stock with an Air-Cushion Finish, these cards housed in an embossed tuck case available in Republican Red or Democratic Blue, with an American flag inner tuck, and are sealed with a custom gold seal. 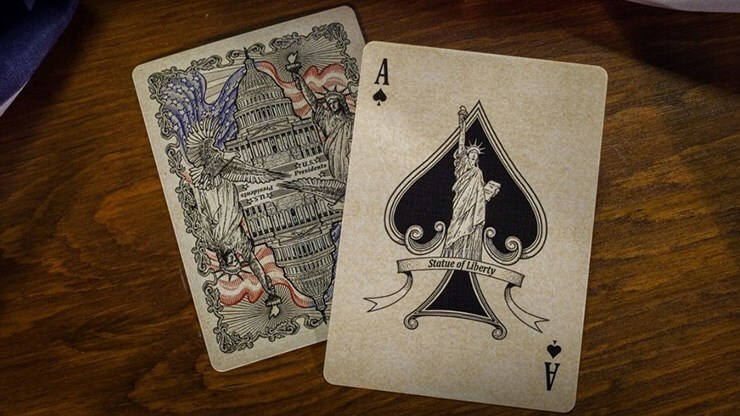 Perfect for the cardman who is also a history buff! 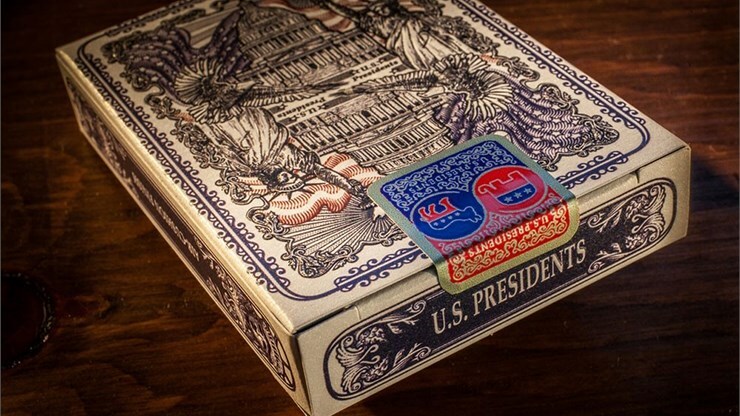 Order your decks today!